In late December, magazine CBNWeekly joined with third-party advertising technology company Miaozhen Systems to release a list of the most commercially valuable Chinese stars for 2018. The ranking is based on data collected from major Chinese online platforms including Sina Weibo, Taobao, WeChat, Baidu and TikTok in five areas such as a star's professionalism and ability to capture the attention of the public. Chinese actress and producer Yang Mi is on the top of the list with a score of 86.7, followed by Chinese-Canadian singer and actor Kris Wu, who earned a great deal of international attention by dominating the US iTunes chart in November 2018, with 86.1. Chinese singer and actor Lu Han dropped from the first place in 2017 to 10th. Fans played an immense role in helping their idols gain a high rank on the list. 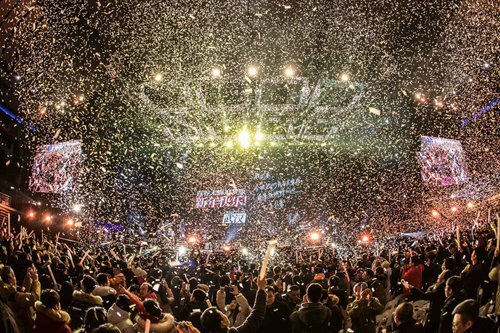 In many cases, these fans are part of what are known in Chinese as houyuanhui, large and influential fan clubs that are very highly organized. Ge (pseudonym) is the chairperson for a major houyuanhui that has 60,000 members. She told the Global Times that members of the group are in direct contact with the marketing department of their favorite idol and often have access to that idol's itinerary. To promote these idols' popularity on Sina Weibo, Ge's group not only has a main account on the social media platform to disseminate news about their idol's daily happenings but also have a secondary account known as shujuzhan (database account) that is in charge of organizing fan members and their online efforts to promote their idol. Although this database account has millions of followers, only several thousand fans have the honor of being included in private Sina Weibo chat groups in which they receive orders to fight internet battles for their beloved idol. These groups are divided by function: lunbo (reposting), fanhei (anti-criticism), kongping (purifying comments and news). The lunbo members work together to ensure the repost and "like" numbers on their idol's posts get as high as possible. To this end, some lunbo group members have even bought fake accounts - in China social media accounts must be linked to a phone number or ID card number - called xiaohao (nickname) so they have more tools to promote their idol. "You cannot imagine how many xiaohao some fans have. Some fan club organizers can have 10,000 xiaohao. Therefore, although you see hundreds of thousands of reposts or likes for an idol, the actual number of fans is far less," Xin (pseudonym), a lunbo group member, told the Global Times. The fanhei group are in charge of bringing the fight to fans of other stars on social media platforms when those fans disparage their idol. In most cases, this involves getting in wordy online debates or outright arguments in different forums around the internet. The members of the kongping group are involved in highly technical operations. Their job is all about making their idol look as good as possible by leaving fawning comments in internet threads and spinning negative news into something positive. After these comments are posted, other members sweep in to add comments or give likes to ensure that these posts dominate the threads. Ge told the Global Times that usually the group has around a dozen administrative members, including one chairperson, two vice chairs and multiple leaders of various teams, such as a fan art team, a photography team, a video team and a writing team. In a way they are organized very much like a company's board of directors. The chairperson and vice chairperson are the core administrative staff, and go by the nickname pixia, literally "under the skin." They have access to the club's main Sina Weibo account and are the moderators of forums dedicated to their idols. It may be easier to understand why these higher-ups are known as pixia if you know that fans of a particular idol usually go by a certain nickname and are associated with a certain color. For example, Kris Wu's fans are called meigeni (lit: every one of you) and their fan color is silver. This has also led to another interesting nickname - pipi (lit: disguised skin), fans of one idol who infiltrate the fan club of another with the intent of damaging that idol's image. In many cases, fans donate money to keep their fan clubs running. Sometimes the money a large houyuanhui can draw upon enters the tens of thousands or even millions of yuan. Both Ge and Xin mentioned that handling corruption in the club can be a major headache for the administrative staff. According to Ge, "It's easy to 'earn' fans' money and that's why some people like to establish these houyuanhui accounts even though they are not true fans of an idol." Despite these headaches and the sheer amount of effort that goes into running their fan club, Xin feels it is all worth it if it helps their idol succeed. "We want to help his career and get known by more people," Xin said. "You are eager to show off your idol when you know they are a treasure."